The Property Council of Australia’s shameless threat to both sides of politics to look the other way on negative gearing reform is a slap in the face to the democratic process. Is this the stick accompanying the $2.4m in carrots donated to both sides of politics? For the PCA to issue this threat in the same week as the revelation of such donations reminds one of ‘taxation without representation’. Negative gearing is a damaging subsidy from the public purse to property investors. The incentive was created to increase the supply of housing. Instead, the number of property investors have swarmed to crowd out both supply and homebuyers. Foreign investors have jumped on the bandwagon. Negative gearing has cost over $50 billion in the last 22 years, whilst national land prices have increased by more than $4 trillion dollars. It is well known that over 90% of negatively geared property goes towards buying existing property in prime locations, adding little to supply. The most recent capital gains tax expenditures for housing amounted to $54.5 billion. Meanwhile the government wrestles with increasing the regressive GST to raise a mere $14bn a year. Successive Victorian governments have delivered the nation’s most aggressive land supply pipeline for the development industry. Each re-zoning delivers millions in windfalls at the stroke of a bureaucratic pen tick. Red tape has been cut around the country to deliver supply. As clearance rates drop in some cities, we sit with baited breath to see if a reasonable return on public policy will be met in terms of affordability. Demographia’s recent finding that it takes a record 10 average incomes to pay for a home in Melbourne demands that house and land prices be allowed to fall. Marginal seat threats are now a textbook response from lobby groups to intimidate government policy. Politicians in the past would shout down such bias, but now political parties rely on donations to pay for campaign advertising on what was once known as the ‘public airwaves’, the verve of vested interests has grown. Recently anointed with an Australia Day honours award, Mitch Hooke led the Minerals Council of Australia in an elaborately funded campaign to destroy the mining tax in 2010. They spent $22m on the campaign, threatening to roll out high profile candidates in all marginal seats. Soon after the Hotel lobby engaged in similar tactics with regards to pokie licensing reform. Victorian taxi license owners were not powerful enough to defeat the rent-seeking reforms implemented by the Napthine government, but have now convinced the Andrews government instead. The commodification of real estate is reaching new heights and if the PCA is to have their way, only set to increase. 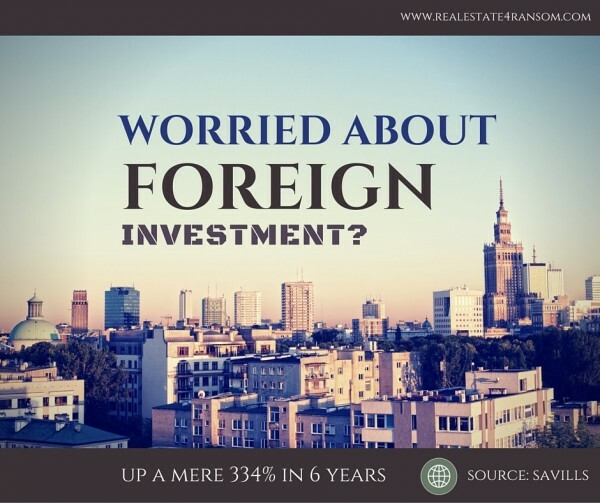 A 334% increase in global foreign investment occurred in just the last 6 years reports Savills. Global real estate assets were quantified at $217 trillion, almost a third greater than the combined value of all equities and securitised debt instruments. Because of this size, property advocates are already demanding tax cuts to support their industry. This despite most of this value being attributed to locational land value and not productive, risk taking effort. Whilst some 400,000 negative gearers in marginal seats have been used as a warning to politicians, those 1.73 million first home buyers who have purchased property since 2000 must be considered. And what about the growing number of lifetime renters? Will those who have grown under the weight of immense mortgage debt (Australia now has the largest mortgage debt per GDP in the world) see the sensibility in taking out larger and larger mortgages for the rest of their lives? Those FHB’s who bought in 1991 had an average $65,000 loan. Those who bought in 2000 had an average mortgage of $135,000. Today that is $335,000. What will it be in 2030? Prime Minister Turnbull must stare down vested interests for the greater good. But will he when 94% of current MPs are property investors? We all need to find our voice to avert future generations from enduring what appears likely – multi-generational mortgages. Just who are rising property prices good for? Good points about the vested interests and the power they wield in parliament. Do you think that it would be possible to remove it without there being an actual destruction of ‘wealth’ if it were to trigger a wave of selling? Especially amongst investors/speculators? Also, do you have any idea why housing enthusiasts still point to only median prices as the definitive measure of the ‘health’ of the housing market. I keep wondering why nobody talks volumes. I’m enjoying reading this site. Especially some of the analysis/stats. Good work! I seriously doubt anything will be done about getting rid of negative gearing. Australia is fast equalling the corruption levels of many Third countries in Africa and Asia. Only a major economic correction, unlike anything we have seen or read about it before, will force positive changes. Along with voter apathy, Australia is doomed. Your are right to be outraged by the PCA arrogance. Agreeing with you runs the risk of being cast as anti-capitalist. I am not. For profit companies are all able to find profitable and meaningful businesses to be in. So its time for government to lead. I have been advocation for government to put all the intervention costs associated with housing both social and private on the table. Its a massive annual recurrent sum. Government should then apply the best strategic and policy minds to seeing how this money could be better spent and what levers (interventions) that would work best for the future. The outcomes should be transparent. It is like the PCA’s hide to threaten a marginal seat campaign. There are ways of toning down things like negative gearing i.e. to only allow future investment in properties up to a certain value. Possibly $750,000 in metros and $450,000 elsewhere. That will at least concentrate a few minds. Existing negative gearing will have to work itself out over time. The easy way to wind back their power would be to reform TV & Radio licenses to include X amount of free advertising per election. That would be perfectly reasonable as part of the social contract. What say you Rupert? Interest only loans are the low hanging fruit to wind back the speculative impulse. And volumes – you should look into the Kavanagh-Putland index. anti-cap – I hope I dont come across that way ;) Re the housing subsidies – exactly – you are right on the money there. We have a new report quantifying this out soon. cheers! Yes I wonder what the odds are that the PCA has already contacted Shorten’s office? Re medians over averages, averages are distorted upwards by high value locations. A median more accurately reflects both the high and low sides of the market. In a WA poll recently ,School teachers had an average 2.4 investment properties. I wonder if they teach the virtues of saving to students for a home they are pricing them out of ? . In the good old USA , negative gearing for investment homes is disallowed but owner occupied CAN deduct interest on home loans. The opposite of here . Unsurprisingly , the average US home is half our price and parents sleep nights . Nice metric, we’ll have to keep an eye out for primary school investment holdings in other states. Perhaps we should find out what the rate is for Economics Professors too?!! Certainly we agree with the US example. Australia has some of the best (yearly land valuations, some of the best public data thanks to the ABS, a Land tax framework) and worst practices to deter rent seeking. i.e. a concentrated development industry, negative gearing, real estate agents as middlemen in the rental market (in the US it is direct with the landlord) and 94% of federal MPs owning investment properties. Thanks again Karl. I’ll check out the Kavanagh-Putland index. I was going to look at the SQM research stuff and see if it was worth subscribing for a while. Just my intellectual curiosity. They have good graphs on vacancy rates but I found the report that was posted here about vacancy rates an innovative way of looking at things and possibly much more accurate.